The development and implementation of network codes and guidelines has been designed as an important step to be taken in order to fully integrate the European Union Internal Energy Market (IEM). Network codes "are the building blocks of the IEM. They will provide Europe with a coherent, strong and efficient set of harmonised rules and requirements covering all important cross-border aspects of the electricity sector: connection requirements, the coordination of system operations and the completion of pan-European electricity markets", said in 2015 the ENTSO-E (as the voice of the EU Transmission System Operators (TSOs)) in its Work Programme. This action comes with parallel institutional work on the full implementation and enforcement of the Third Energy Package, the enhancement of investments in energy infrastructure, the collaboration within regional initiatives as well as the enforcement of competition and State aid rules. The legally binding nature of network codes means that they can have a fundamental bearing on market participants' businesses. [...] the adoption of all the electricity Network Codes and Guidelines and their entry into force does not imply that rule-making is complete. 8. Network Code on High Voltage Direct Current Connections (HVDC). Network codes complement each other and provide a single set of pan-European market rules covering all timeframes. The initial goal was to have these rules in place by 2014, but the work occurred more complex and was finally completed in 2017. Moreover, not all legislative pieces were so mature to take the form of the code and, at the present stage, were adopted as the guidelines only (on balancing, CACM, forward capacity allocation and system operation). - CACM covers topics related to the operation of the electricity market and involves financial risks and risks involved with market scenarios while taking into account the physical risks described in the Network Code on System Operation. - on operational planning and scheduling. 2. Network Code on Gas Balancing of Transmission Networks (Commission Regulation (EU) No 312/2014 of 26 March 2014 establishing the Network Code on Gas Balancing of Transmission Networks) establishes a set of market-based measures for balancing, where both the Transmission System Operator (TSO) and market participants are incentivised to buy and sell gas for balancing purposes on the spot markets. 6. Tariffs Network Code - Commission Regulation (EU) 2017/460 of 16 March 2017 establishing a network code on harmonised transmission tariff structures for gas, OJ L 72, 17.3.2017, p. 29–56 (see here the ACER's website on the Tariffs Network Code). - CACM, EBGL, FCA and SOGL are guidelines (their legal basis is Article 18 of Regulation (EC) 714/2009). Differences between the two categories are somewhat subtle and initially all the above regulations were intended to be network codes (both categories are being adopted in the same comitology procedure), nevertheless the more complex subject matter, complexities involved with divergences between electricity systems of EU Member States made necessary to cover some topics in the more general form of guidelines. - for guidelines of Article 18(5) Regulation 714/2009. It can be assessed that guidelines have been used by legislators where the legislative choices at the time of drafting were not conclusive and there was a need for transmission system operators to develop further and detailed methodologies in certain areas. Once a network code is submitted by ACER to the Commission recommending its adoption the Commission starts the adoption phase ("Commission adoption phase"). As the Third Energy Package has not yet been aligned to the Lisbon Treaty, the network codes and guidelines are still being adopted according to Article 5a (1) to (4) and Article 7 of Decision 1999/468/EC, having regard to Article 8 thereof ("regulatory procedure with scrutiny"). Therefore, in order to adopt a network code it has to be finalised and translated by the Commission. Furthermore it needs to obtain a positive vote by the competent Committee composed of Member States' representatives. After the positive vote of the Committee the Commission needs to adapt the translations in line the network code voted upon and submit it to the European Parliament and the Council. The European Parliament and Council then have three months to scrutinise it. If, on the expiry of this period, neither has opposed it, the network code will be adopted and published by the Commission. The process of establishing network codes is defined in Article 6 and 8 of the Regulation (EC) 714/2009 (Electricity Regulation) and of the Regulation (EC) 715/2009 (Gas Regulation). The areas in which network codes can be developed are set out in Article 8(6) of the Electricity Regulation and the Gas Regulation. The European Commission, after consulting ACER, ENTSOs and the other relevant stakeholders, establishes an annual priority list identifying the areas to be included in the development of network codes. The European Commission can then request ACER to submit to it within six months a non-binding framework guideline (framework guideline), setting out clear and objective principles, for the development of network codes relating to the areas identified in the priority list. ENTSO then has twelve months to draft a network code taking into account the objective principles outlined in the non-binding framework guideline. ENTSO then submits the draft network code to ACER for its reasoned opinion. ACER assesses then the network code to ensure it complies with the Framework Guideline (ACER has three months to provide its opinion) and makes a recommendation to the European Commission). Assuming the European Commission agrees with the recommendation, the process of comitology begins to transform the network code into a regulation (see box). The regulation is legally binding on all parties and has direct effect (i.e. it will not need to be transposed into national law). - Articles 54 - 58 of the Proposal for a Regulation of the European Parliament and of the Council on the internal market for electricity (recast), 30.11.2016, COM(2016) 861 final 2016/0379 (COD). It provides for the streamlining of the development procedure by clarifying that the ACER has the right to revise draft electricity network codes before submitting them to the Commission (and not only to give an opinion as before - see Recital 41 of the said Proposal). What's more important, the Winter Energy Package provides for the adoption of network codes and guidelines by the European Commission as delegated acts - an idea that sparked some opposition (see for example EFET commentary on the Clean Energy Package for All Europeans, 20 April 2017, 20 April 2017, p. 18). In any event, the likely adoption of the Winter Energy Package will likely result in the further amendments of at least several of the network codes that have already been adopted. Increased cooperation and coordination among transmission system operators is required to create network codes for providing and managing effective and transparent access to the transmission networks across borders, and to ensure coordinated and sufficiently forward-looking planning and sound technical evolution of the transmission system in the Union, including the creation of interconnection capacities, with due regard to the environment. Those network codes should be in line with framework guidelines, which are non-binding in nature (framework guidelines) and which are developed by the Agency. The Agency should have a role in reviewing, based on matters of fact, draft network codes, including their compliance with the framework guidelines, and it should be enabled to recommend them for adoption by the Commission. The Agency should assess proposed amendments to the network codes and it should be enabled to recommend them for adoption by the Commission. Transmission system operators should operate their networks in accordance with those network codes. 2. The power to adopt delegated acts referred to in Article 61 and Article 63 shall be conferred on the Commission for an undetermined period of time from the (OP: please insert the date of entry into force). 3. The delegation of power referred to in Article 61 and 63 may be revoked at any time by the European Parliament or by the Council. A decision to revoke shall put an end to the delegation of power specified in that decision. It shall take effect the day following the publication of the decision in the Official Journal of the European Union or at a later date specified therein. It shall not affect the validity of any delegated act already in force. 6. A delegated act adopted pursuant to Article 61 and 63 shall enter into force only if no objection has been expressed either by the European Parliament or by the Council within a period of two months of notification of that act to the European Parliament and the Council or if, before the expiry of that period, the European Parliament and the Council have both informed the Commission that they will not object. That period shall be extended by two months at the initiative of the European Parliament or of the Council. We are worried by the proposed change in the procedure for adopting network codes – from adoption by implementing acts towards use of delegated acts, according to Article 66 of the draft recast Directive and Article 54 of the draft recast Regulation. Covering quite a number of politically sensitive areas by delegated acts may be problematic, as the procedure of adopting delegated acts can never ensure the same transparency and Member States ́ involvement in the legislative process as the ordinary legislative procedure. Therefore we believe that these areas shall be tackled either directly in the text of the regulation / directive, or that network codes shall be adopted as implementing acts. Further, we challenge the intention to dedicate specific network codes or guidelines to some of the subject matter laid out in Article 55.1 of the draft recast Regulation. Indeed, sub-paragraph (n) foresees the adoption of a network code or guideline on demand-response, including aggregation, energy storage, and demand curtailment rules. As highlighted in Section III of this paper, we believe that guaranteeing a level- playing field between all market participants is essential to ensure that consumers have a real choice of how they wish to organise their supply and storage of electricity, and the commercialisation of their demand response potential. As a consequence, the same rules for the organisation of the market should apply to all market participants, be they generators, demand-response providers (including aggregators) and storage operators. Should the current network codes or guidelines be considered discriminatory vis-à-vis certain categories of market participants in terms of market architecture, then they should be reviewed. But creating a separate set of rules for these categories of market participants is bound to distort the level- playing field in the market. With respect to the Internal Electricity Market target model different timeframes must be considered. - For the balancing timeframe, European-wide balancing platforms where all TSOs would have access to different types of balancing products while taking into account the available transmission capacity between market areas. Supporting document to the ENTSO-E Draft Network Code on Forward Capacity Allocation of 28 March 2013 provided in that regard the following comments. - the coordinated NTC (net transmission capacities) approach. However, for the Forward Capacity Allocation timeframe, which refers to timeframes prior to day-ahead (e.g. monthly, quarterly, yearly, multi-yearly periods), the coordinated NTC approach is preferable, although the flow based approach is acceptable provided there is evidence that it can deliver higher efficiency. - via Financial Transmission Rights (FTRs). The target model for the day ahead market is based on implicit auctions, which means that cross-zonal capacity is allocated implicitly with the matching of the most competitive energy bids and offers. This process is commonly known as market coupling. More in detail, it was agreed that the target model should be based on a single price coupling EU algorithm. In the intraday market, where market participants trade energy to adjust their positions after the day-ahead market phase and before the balancing market, the target model also prescribes implicit allocation of capacity. However, unlike the day-ahead market, this should be based on continuous trading rather than auctions. Reliable pricing of scarce capacity complements the target model, while regional auctions can be implemented where appropriate. In respect of the balancing market, while the long term solution foresees a TSO-TSO model with a Common Merit Order (CMO) list, its features and interim models were initially part of the ongoing discussions around the Framework Guidelines on Balancing, published by ACER on 20 September 2012. (v) for balancing, a TSO-TSO model with a Common Merit Order (CMO) list for cross-border exchanges of balancing energy and harmonising key aspects of national balancing mechanisms. As regards short-term markets, efficient, liquid and integrated balancing and intra-day will facilitate the integration in the system of energy produced from renewable energy sources, and liquidity could be strengthened by increasingly exposing these generators to the same commitment and balancing responsibilities as conventional ones. As was said above, European Electricity and Gas Network Codes apply directly to all addressees and, as regulations, apply directly to the EU Member States without being transposed into national laws or regulatory frameworks. Another significant fact is European regulations in the legal hierarchy of laws take precedence over the EU Member State's domestic law. It means that if a domestic law is incompatible with a European Electricity or Gas Network Code, it is the European law which takes precedence. The EU Member State that does not comply with a European regulation can face infraction proceedings, which involve substantial fines. Each network code sets a series of rights and obligations on various market players, most often TSOs. In many cases, network codes also require actions to be taken or parameters to be specified in order to implement that code. For example, the connection codes require about 40 provisions to be set at national level (essentially more detailed specifications of subjects that could not be specified within the code itself) to be developed. The EU network codes implementing provisions to be set at national level can be categorised considering their mandatory/non-mandatory and exhaustive/non-exhaustive character. 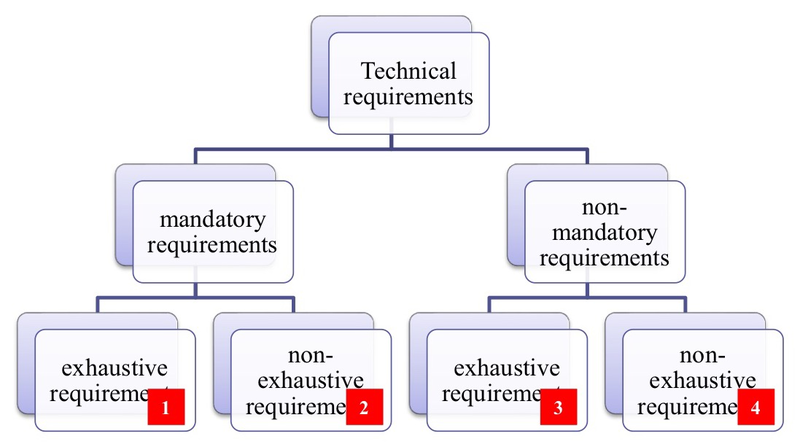 Mutual interdependences between these mandatory/non-mandatory and exhaustive/non-exhaustive requirements can be depicted in the graph (source: www.entsoe.eu). Each EU Member States and other country, which implements connection network codes can make a decision whether to introduce a non-mandatory requirement either in general on national level or as a site-specific choice. Such a leeway is not granted when it comes to mandatory requirements, which must be applied in all EU Members States and other countries, which implement connection network codes. Exhaustive requirements need no further national specifications (e.g. parameters) for its entire application. 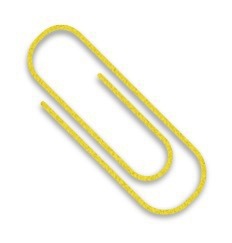 In turn, non-exhaustive requirements are those for which the European level network codes do not contain all the information or parameters necessary to apply the requirements immediately and need further national specifications for its entire application in general on national level or as a site-specific choice. These requirements are typically described in the CNC as "TSO / relevant system operator shall define" or "defined by / determined by / in coordination with the TSO / relevant TSO". Some of them need a choice at national level, but wider sharing and in some cases collaboration on the criteria can be necessary (see: Making non-mandatory requirements at European level mandatory at national level, ENTSO-E Guidance document for national implementation for network codes on grid connection, Draft for consultation 1 July - 15 August 2016, 30 June 2016, and Parameters of Non-exhaustive requirements, ENTSO-E Guidance document for national implementation for network codes on grid connection, Draft for consultation 1 July -15 August 2016, 22 June 2016).